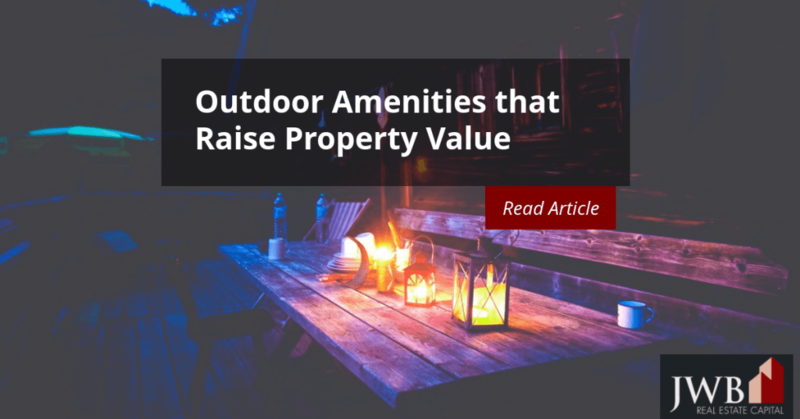 Many people put a high value on outdoor living, and it’s important for property owners to consider what makes their property attractive to that group. An attractive and functional yard will increase the value of the home both tangibly and intangibly. Whether you’re looking for ways to increase your property’s value so you can sell it for a profit or you just want to make it more attractive to tenants so those good renters fine you and stay put for a long time, updating your property’s outdoor spaces can be a good investment. Here are a few ideas that might help you turn a drab yard into an oasis for your renters and a way to build wealth for you in the long run without breaking the bank today. Adding decorative lighting to a yard makes it more appealing at night, along with increasing its safety. With the development of LED lighting, in all its shapes and colors, your options to illuminate the night are endless. Whether the lights are hard-wired into the home, battery-powered, or solar driven, a lighting scheme that highlights the yard will please residents from indoors and out and add tangible value. If the property is in a kid-friendly neighborhood, consider installing a playhouse. One of the most frequent reasons home buyers cite for a single-family home purchase is that they want a yard for their children. Even if you’re not ready to sell, a safe and entertaining place for the children to play may have a positive and persuasive influence on parents to rent your property. If the existing patio on your property is small, consider expanding it into a livable outdoor space. Adding a cover or an awning and screening it in make it usable year-round. If the patio is next to a living area, consider using materials that complement the interior flooring and wall colors to blend the outdoor space into the interior, making both seem larger and airier. A deck off the second floor will give views of the night sky and the surrounding area. Remodeling Magazine found that a deck returns 77 percent of the investment when the property is later sold. If the backyard is nothing but lawn, add some interest by planting low-maintenance, drought tolerant trees and shrubs. Native plants grow without much attention or effort, and withstand pounding rains and droughts alike. The American Nursery Landscape Association reports that homeowners who invest in outdoor landscape design can expect 100 percent return when they sell their homes. Installing a private outdoor shower is one of the more practical backyard upgrades for homes near a beach. Not only will it benefit the home occupants, it reduces the amount of sand going down the drain indoors. Sand inside the home scratches flooring, wears carpeting quickly and clogs indoor plumbing. It’s commonplace in hot summer climates for people to cook outdoors and for them, an outdoor kitchen offers real benefits. It keeps the heat out of the house and opens up the menu for what to serve on scorching hot days. The rest of the year, an outdoor kitchen might anchor a place for entertaining friends and family. The basics for an outdoor kitchen include running water at a sink, wastewater drains, a gas line and barbecue, along with cabinets and counter space. Grill islands are available as cabinets that include storage and counter space that will withstand the weather. Freestanding sinks are available at home improvement centers. If the home is in a neighborhood that supports a bigger investment, consider adding a small refrigerator and built-in cabinets. For winter time, consider installing a fire pit near the outdoor kitchen for chilly weather gatherings. Gas fire pits are the safest, and many are portable and sit off the ground, reducing tripping hazards or problems with small children. The bottom line is this: If you’re a real estate investor who is you’re looking to upgrade your rental properties, paying a little attention to the outdoor amenities can help raise your property value and make it more attractive to tenants and buyers, too.